Cooking for one is something new I’ve had to learn in college. I really enjoyed cooking back in high school when I was living at home, too, but most things I made were for at least the five people in my family. I also had a big kitchen, a huge selection of ingredients and spices, people to help me clean up the kitchen, and bit more free time. Now that I live in a dorm and cook primarily for just myself, I like to make simple things that don’t require multiple pots and pans or lots of ingredients. During busy weeks, the extent of my cooking may be roasting a few trays of chopped veggies, baking some sweet potatoes, boiling some pasta in my dorm’s kitchen, and making smoothies and microwave oatmeal in my room. 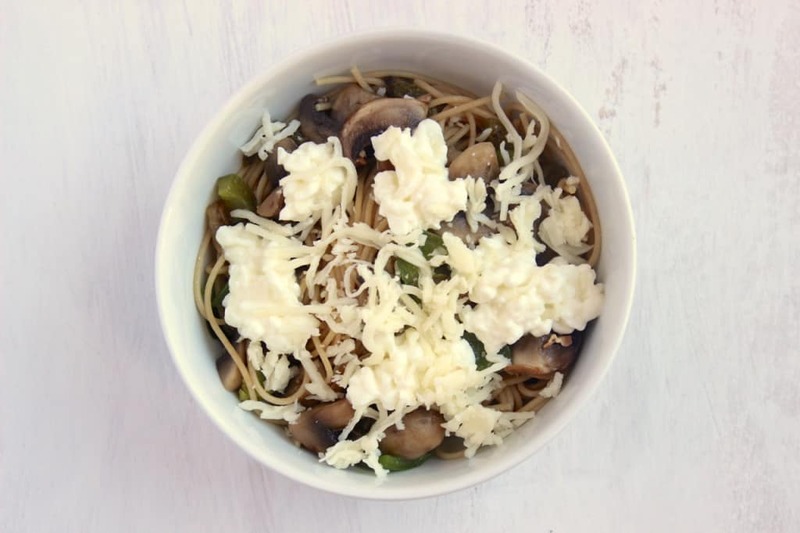 One of my favorite simple meals for one is a pasta bowl with lots of veggies and cheese. 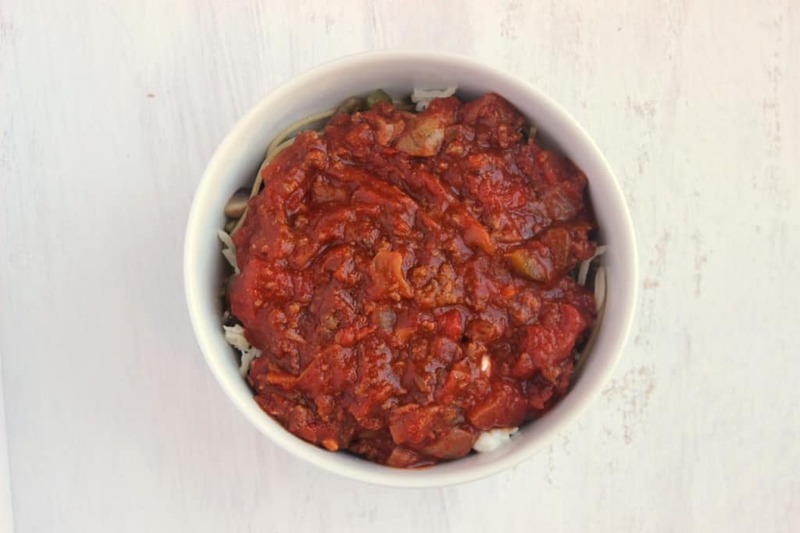 It’s more of a method rather than a recipe, but I figured it’s worth sharing if you’re like me and always looking for easy new meal ideas– especially cooking for one! 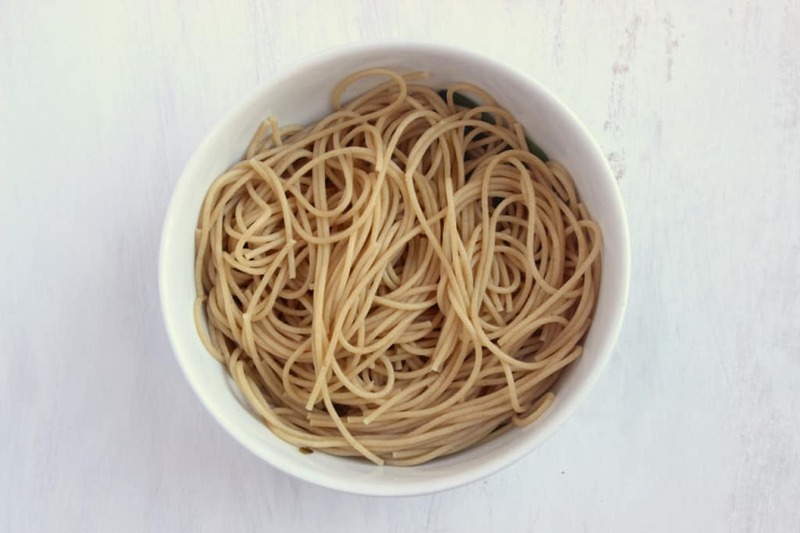 Cook 2 ounces of whole-grain pasta according to package directions. You can add a handful of chopped broccoli florets to the pasta pot during the last 3 minutes of cooking, if you’d like. 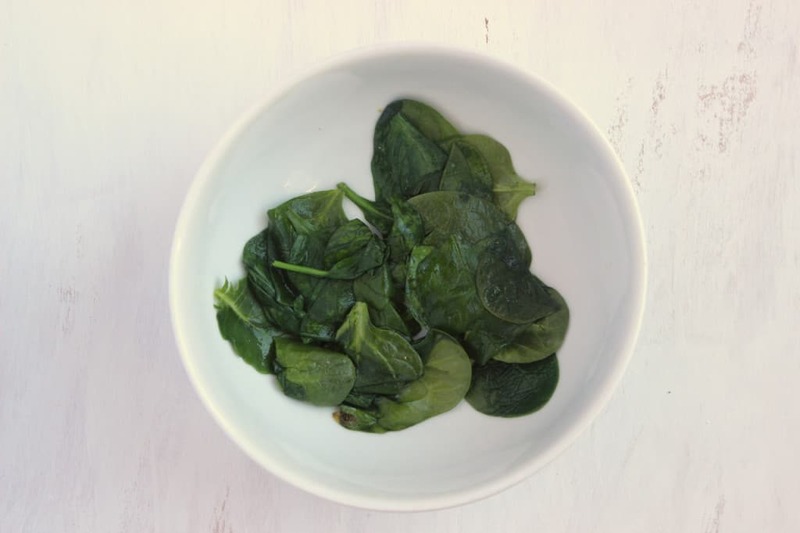 Place a large handful of spinach in the colander before draining the pasta. The hot water will almost immediately wilt the spinach so I don’t have to cook it separately. Time to layer! Start with the wilted spinach and noodles. Next, add leftover sautéd or roasted vegetables. Mushrooms, bell peppers, onions, and zucchini are some of my favorites to use here. A little more cheese… And pop it into the microwave for 60 seconds or so, until the cheese on top is melted and everything’s heated through. Let me know if you give it a try and put your own spin on it– the variations are endless! Cook pasta according to package directions. 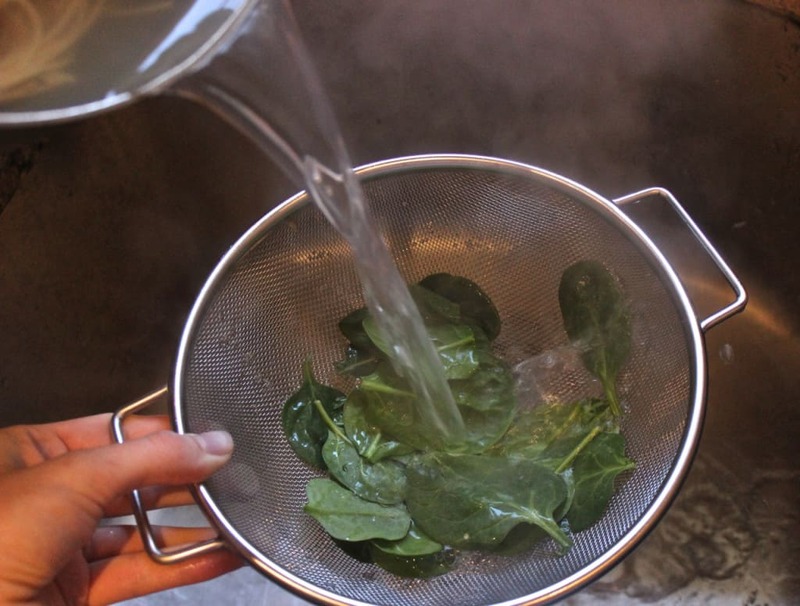 Rinse spinach in a colander and drain the pasta directly on top of the spinach to wilt it. Transfer spinach and pasta to a microwave safe bowl. 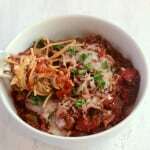 Add veggies, cottage or ricotta cheese, 1 tablespoon of mozzarella cheese, and marinara sauce. Top with the remaining mozzarella cheese. Microwave for 60-90 seconds, or until cheese on top is melted and everything is heated through. Enjoy! These are the quantities I use to make one serving, but I'll often double the recipe to enjoy the second bowl a day or two later. When I sauté mushrooms, peppers, etc. for omelets, I'll freeze the extras and add them to meals like this. Love this! One of my roommates and I were just talking about cooking for one. It’s so satisfying when you actually do make yourself a meal as opposed to just snacking/microwaving your way through a busy day. We often do something super similar to this but occasionally use pesto in place of (or, hey, in addition to) marinara sauce. Oh, and if I’ve been super proactive, I’ll have roasted garlic cloves lying around to use! I agree! As much as I love snacking between meals, I really don’t like substituting snacks for meals. And mmm- roasted garlic! I love this! I am all about single serve meals for busy days! 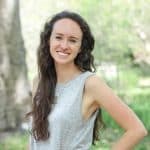 Cooking in college is so different than cooking at home and definitely has a learning curve but can be a great way to still eat healthy while in college and avoid all the junk out there. I love recipes like this because they take the same amount of time to cook than frozen packaged foods but are SO much better for you! Dining hall pasta (at least in my experience…) tends to be so mushy, right?! Yum! A bowl of pasta is so satisfying! I didn’t mind the caf food when I lived on campus, but the weekends we just plain awful. Definitely could have used this recipe. I agree, what could be more satisfying than a giant bowl of pasta? I love adding lots of veggies to help bulk it up! Cooking for one was the hardest part of living away from home! Too many ingredients, too little portions, that’s probably the biggest reason I ended up going out to eat a lot. I’m definitely going to try this dish! Does the cottage cheese thicken the sauce or just give it flavor? The cottage may thicken the sauce slightly, but it mostly just adds a delicious cheesiness to the bowl. It’s one of the parts that reminds me of lasagna! This really is the perfect college girl meal! Sounds delicious! Have you posted your mac & cheese recipe on your blog? I’d love to check it out! Oh YUM. I love how a) this is so simple b) it is single serving and made in one bowl c) hardly any dishes to wash afterwards d) uses two types of cheeeeese. What a brilliant little trick with pouring the hot pasta water over the spinach to wilt it. I love little hacks like this. I need to get myself some pasta sauce! 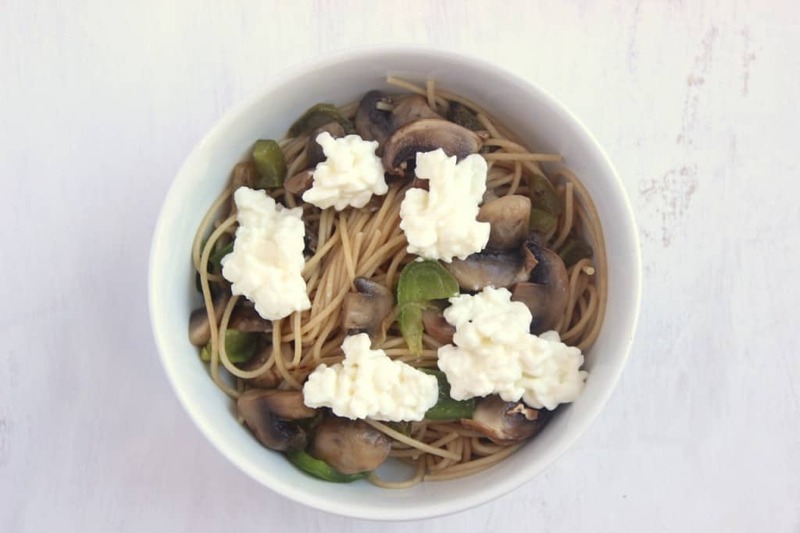 So this is weird – I totally use cottage cheese for lasagna, but I have NEVER thought of adding it to my pasta dishes for an extra protein boost. Can you say GENIUS? Totally doing that for dinner tonight since I am on my own!! What a great system for making a single pasta bowl. I especially love the tip about wiling spinach with the pasta water. And the end result is so appetizing! Im all about that single serving life especially here in college! Almost all of my recipes make 1-2 servings but none are quite like this (they are mostly breakfast and dessert). So stoked about this! Oh yeah- I love easy recipes for one or two! I’m all about quick, busy girl meals! 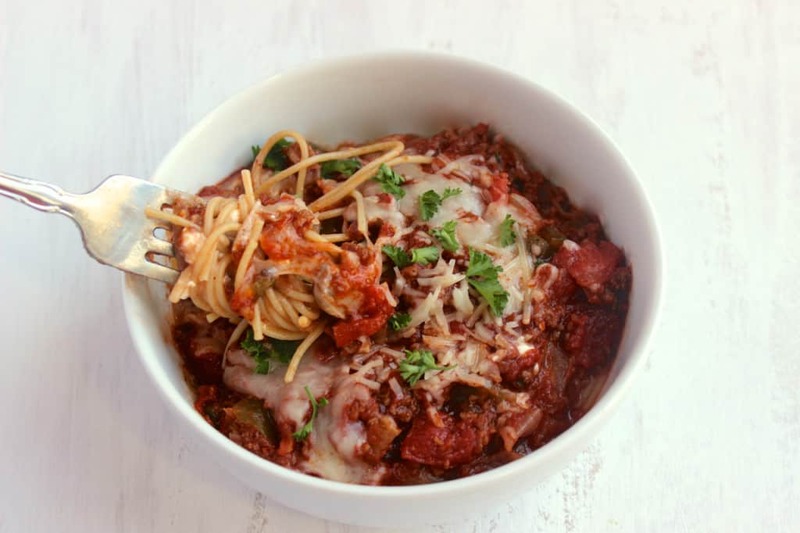 I love adding veggies to my pasta- you used some of my favorites! 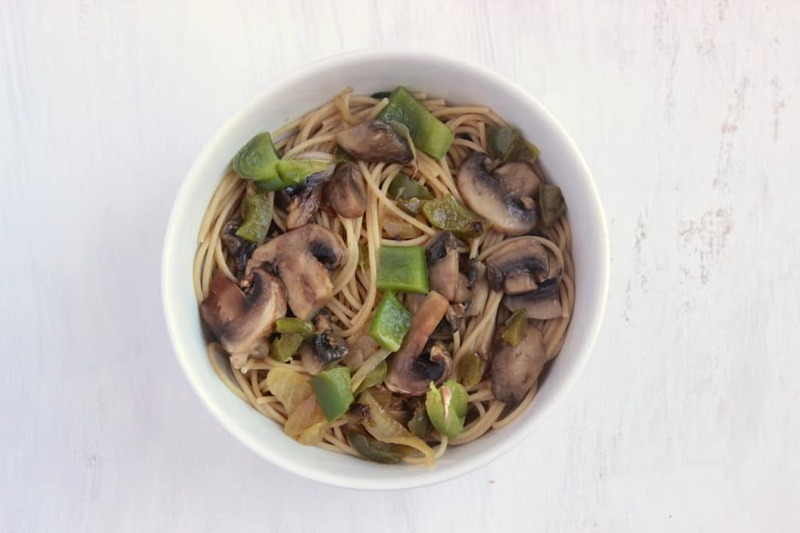 Love adding mushrooms, onion, spinach, and broccoli to pasta- yum! I’m lucky to be out of the dorms and have a full kitchen and lots of ingredients, but I am still cooking for one, and sometimes don’t want a huge batch of leftovers, so meals like these are perfect! Yes!! Adding lots of veggies to my pasta makes the bowl seem huge! 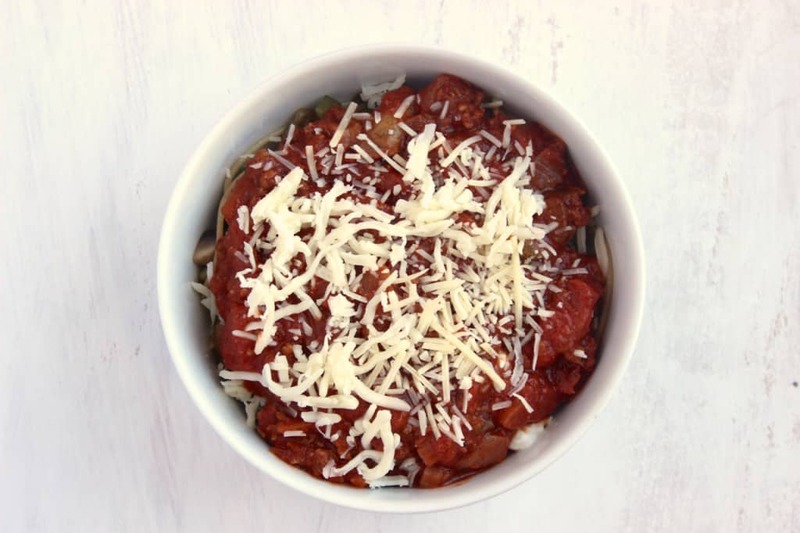 Mmm pasta is one of my FAVES, and I totally did single serving pasta bowls in undergrad! !